at Reagan National Airport, Washington D.C. 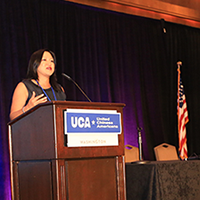 Hosted by United Chinese Americans (UCA), a nonprofit and nonpartisan organization , 2018 Chinese American Convention will bring the like-minded Chinese Americans together to address issues facing our fast-growing communities. 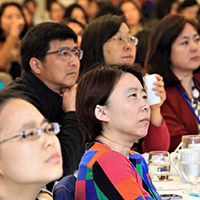 The two-day conference will serve as a unique platform for the participants to learn from civic leaders and community experts, discuss commonly concerned issues, share experiences and explore opportunities to work collaboratively. The United States will be a nation without a majority race. 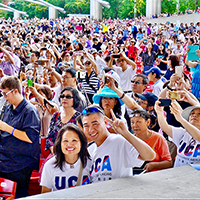 Like all other minorities, Chinese Americans desire a multi-ethnic democracy where every race and ethnic group enjoy full participation in the political process. We must Get Ready at the Table! We Must Know Our Heritage, Know Our Data, Know Our Rights, and Know Our Civic Duties! Featured Event —-Signing Ceremony of UCA Washington Manifesto. Convention participants will witness this historical moment by leaving their signatures on this document which will become a permanent historical record. Please Join Us and be Part of History! Protecting differences while seeking common interests (护异寻同). Journey Together from sojourners (过客) to citizens!